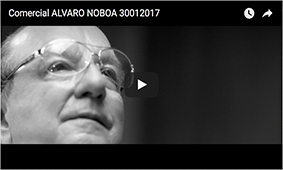 Alvaro Noboa Wants to Change the Country with the Help of Young People. 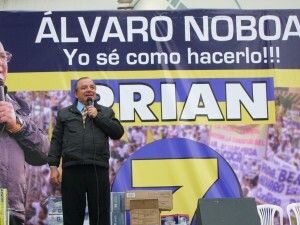 Ecuadorian businessman, Alvaro Noboa, called a meeting at Industrial Molinera’s headquarters, in Guayaquil, where his main objective was to invite the young leaders of the country to become the next assembly members for his political party, PRIAN. The political leader seeks, as first requirement, to restructure the organization lines and listen to new proposals from prepared, daring and competitive young ecuadorians. Also, Noboa announced that, among his government plans, he is going to support banks and financial institutions for those who need a house, a car o a business of their own; he wants Ecuador to become a medium-high class country. Likewise, the presidential pre candidate, assured that his government will boost investment, local and foreign, with the purpose of create employment in Ecuador. To finish up, the political leader, stated that he will work to turn Ecuador in a country without violence and with integral, excellent education.